Eau de cologne : l'eau bien-être Nature et Senteurs par Horizane France. Nature et Senteurs “Eau de Cologne”: the natural perfume putting the focus on well-being and Provence scents. 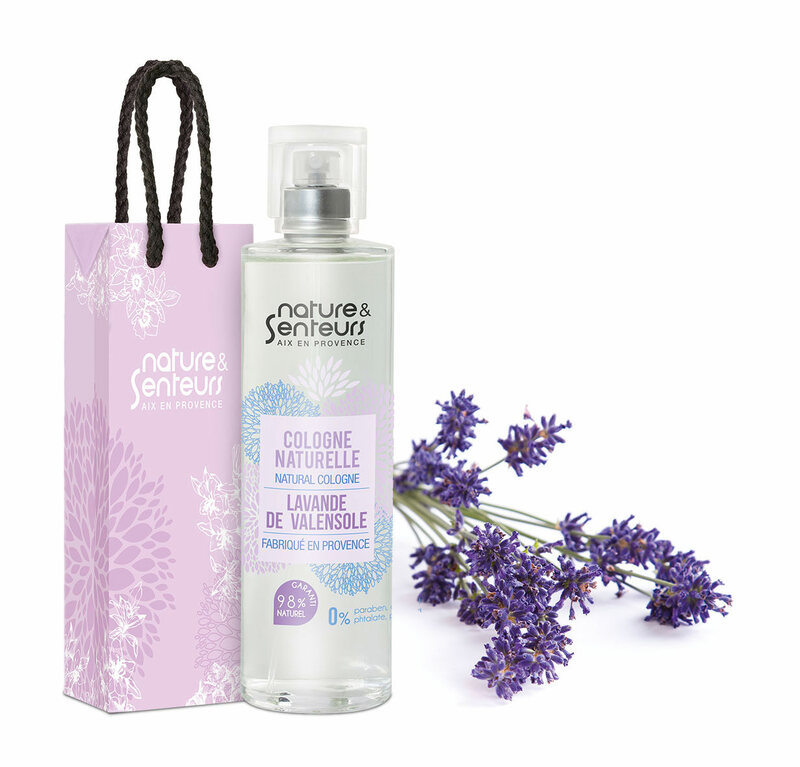 Nature et Senteurs « Eau de Cologne »: Provence in a bottle! Provence fragrances with maximum natural ingredients, without paraben, available in pharmacies. 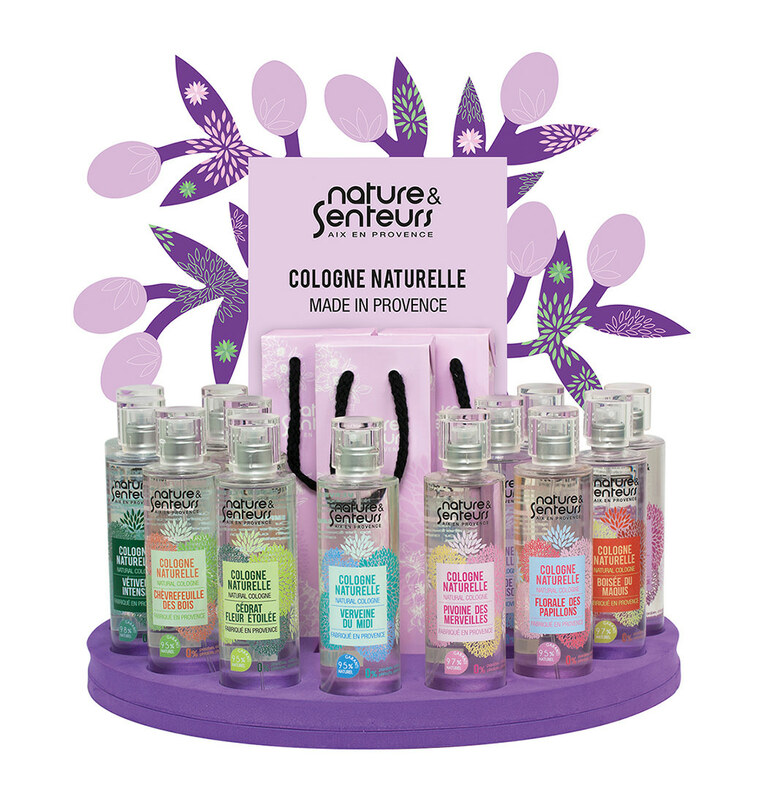 Nature et Senteurs Eau de Cologne is available in pharmacies and para pharmacies. A collection of 12 fragrances from Provence: refreshing, stimulating and delicately perfuming. All made with flower and plant extracts, Nature et Senteurs fragrances are created respecting traditions: those of the legendary Eau de Cologne from the city of Grasse. Thanks to its natural and remarkable scents, the Eau de Cologne will take you right to the very heart of Provence. You will experience a journey and timeless fragrances offering great quality and harmless use. Please do go through “Nature et Senteurs Eau de Cologne: Advice by Horizane” for those who love scented sensory journeys. Nature et Senteurs Eau de Cologne: a natural product that refreshes, stimulates and delicately perfumes your body. Nature et Senteurs Eau de Cologne is made of flower and plant extracts, respecting ancestral traditions. You will feel like you want to generously rub your entire body. You will feel like a new sensation of soft and perfumed coolness. Its fragrance leaves a discreet yet tenacious trail, so emblematic. Nature et Senteurs Eau de Cologne gives a sensation of immediate well-being and coolness. It is elaborated with extracts of aromatic plants according to a traditional recipe. A Cologne inspired by Provence: from “Lavensole Lavender” to “Mediterranean Verbena”, you will choose from a wide selection of natural fragrances to make your wish come true! “Valensole Lavender”, “Mediterranean Verbena” or “Wondrous Peony” Colognes, you can choose from a large selection of fragrances that will delight all natural product lovers such as purists of legendary Eau de Cologne from Grasse. Each fragrance of the collection bears a name suggesting the natural resources of Provence: they invite you to an olfactory travel to the South of France. Valensole Lavender, Natural Secrets, Intensely Vetiver, Wondrous Peony, Spring Green Tea, Wooded Honeysuckle, Imperial Citron Flower, Mediterranean Verbena, Fig Flower, Provencal Orchards, Floral Butterflies, Garrigue Scrubland. Indulge yourself in a journey of the senses to Provence thanks to Nature et Senteurs Eau de Cologne, travelling between the sea and the Mediterranean bush. Nature et Senteurs Eau de Cologne: an universal perfume, a timeless gift. A journey of the senses for yourself or to offer at each occasion. Either for men or women, whatever their age: the Eau de Cologne is an universal gift at an affordable price. Nature et Senteurs Eaux de Cologne revisit Provence around perfumed creations for all, made with more than 95% of natural ingredients. Multi-function perfumed natural water, it is also a wonderful timeless gift, crossing time and generations. It will be perfect to make a surprise, to indulge yourself or others. Nature et Senteurs Eau de Cologne: the multi-function perfume. Nature et Senteurs Eau de Cologne answers different needs either as rituals of beauty for your body or as delicate home perfume. • To refresh and perfume your skin: generously spray your body after the shower. • To stimulate your skin: generously spray and gently rub your body. • To perfume linens and clothes: spray on a tissue and leave it in between linens and clothes to leave a discreet scent. • To perfume your home: spray on a special diffusing tile to get a delicate indoor scent. Nature et Senteurs Eau de Cologne: characteristics of a natural yet timeless product. • Composition: a minimum of 95% of natural ingredients, without paraben, phtalate, colorant nor phenoxyethanol. • Production and origin: exclusively produced in Provence, in France (perfume from Grasse, the city of perfume in the world). A special gift box is offered on request. • Selling points: only in pharmacies.